Great three bedroom apartment in La Atalaya urbanization surrounded by the park of the same name in Conil de la Frontera with communal pool and only 250 meters from the beach of La Fontanilla, the best in services and quality of the town. The apartment is located on the first floor and has three bedrooms, two bathrooms with bathtub, one of them integrated into the double room, living room with air conditioning, fully equipped kitchen with dishwasher, oven, microwave, etc, terrace overlooking the pool and the La Atalaya Park, parking space for one car and community pool for adults and one for the little ones (the pool season is from June 7 to September 22, 2019). The furniture is totally new and the decoration welcomes the tenants for a greater enjoyment of the holidays. The area is characterized by being the quietest of Conil. The situation is unbeatable since it is 300 meters from the beach and La Atalaya urbanization is characterized by the family atmosphere and quiet of the area, and being located in one of the best situations of the town being within the urban core. The descent to the beach is through the park of La Atalaya (perfect for families with children for the safety of crossing with a few cars on the way to the beach), and the descent to the beach appears in the photos that are attached. The nearest beach is La Fontanilla, equipped with beach services, restaurants and bars on the beach. Just in front of the urbanization about 70 meters from the door there is a group of premises: Restaurant, Pizeria, Burguer, etc. Towards the other direction, at about 200 meters there is a supermarket Supersol and 100 meters further on is the food market, perfect for buying fresh fish from the area and the vegetables that characterize the town for its quality, taste and brightness. At about 500 meters there is a Mercadona supermarket. The main area of ​​the town is understood to be the promenade, which is located about 15 minutes walk from the urbanization, and up the Avenida de la Playa from this, you can find the area of ​​movement of the town. Once you enter this avenue at dusk, the movement of people will lead you to the most famous and characteristic corners of the town center. Come and enjoy these sun-drenched coasts 300 days a year and get to know the culture of this little-known town and so admired to maintain the identity of its inhabitants and corners, and if you do, it will probably return year after year and be a regular of the area like all those who have already known our wonderful coasts. I highly recommend this apartment. Very well designed interiors. The host - Jesus Sanches was very helpful and gave our range of valuable tips. He knows the dining facilities very well. I especially recommend the seaside restoration of "La Fontanilla" - a rich selection of wonderful fish. The apartment is located very close to the beach and near the center of the old town. A few steps from him is a very well-stocked supermarket. I believe that this apartment and its owner fully deserve the highest rating. If possible, it will appear there again. We really enjoyed our time in Conil. The apartment was really nice and had everything we needed. It was a quiet area just by the beach. The owner of the apartment, Jesus, was really nice and helpful. He was great when we booked the place as well as during our holiday, always available if we had questions or needed recommendations (his recommendations were great too). Conil is a lovely, Spanish town by the sea. It does get windy at time, but that is quite nice in the hot weather. The town is not too touristy, there are touristy areas but more local and traditional parts which we enjoyed. 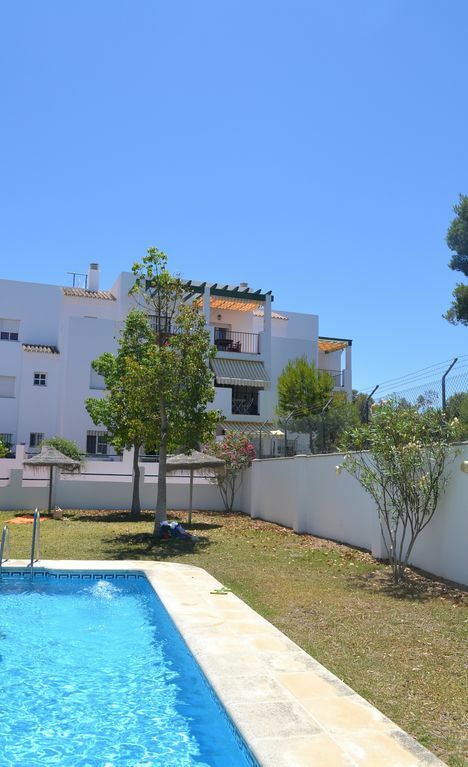 El Palmar, Vejer, Cadiz nearby are also recommended. Wir hatten einen wirklich tollen Kurzurlaub in Conil im März. Haben mit 6 Personen (3 Erw. und 3 Kinder) in der Wohung gewohnt und somit den Platz gebraucht und ausgenutzt. Besonders toll ist, dass es 3 separate Schlafzimmer mit guten Betten gibt. Alle 6 haben wir super geschlafen! Es ist alles in der Wohnung vorhanden, was man braucht. Auch die Küchenausstattung ist gut. Bemerkenswert ist aber besonders die unkomplizierte und nette Kommunikation mit dem Vermieter Jesus, der einem gerne mit Rat und Infos zur Seite steht. Muchas gracias Jesus, wir hatten eine schöne Zeit und kommen sehr gerne wieder !! We spent one week in this very spacious and comfortable apartment. Very clean, cosy and close to the Fontanilla beach. Jesús is a great host. We would recommend this apartment to everybody. Conil de la Frontera in Cádiz is a picturesque fishing village with white houses and narrow streets, located on the Costa de la Luz. Conil is a destination where you can enjoy its beaches and the charm and grace of its people. Conil de la Frontera is a typical fishing village and the sea is an important part of its history. The village is located between soft hills and golden beaches. Conil de la Frontera is a typical Andalusian town, where the Arab influence is noticeable in its narrow streets: white and low houses, and patios and small squares. This town on the Costa de la Luz looks out to the sea, but does not forget the countryside, its location, among pine forests. This beautiful town is 43 kilometers from Cádiz, and its extension is 87 square kilometers. It is a very flat municipality, its maximum height with respect to the level of the sea reaches only 41 meters. For two decades, the fundamental role of fishing and livestock and agriculture in the municipality has lost some weight in favor of tourism, which does not mean that the services sector is the main economic engine of the city. Conil de la Frontera is a town that has grown in recent years in this last sector, because today, to give an example, has more than 350 bars, restaurants and cafes. In addition, it has 16 kilometers of coastline, sun and beach. The destination is a municipality with a lot of history. Through its domains have passed Phoenicians, Arabs, Byzantines, Visigoths, Celts, Christians ... All of them leaving their small contribution so that this town continues to grow. The town conserves the Arab street network, highlighting several churches. Today there are no invaders, but there is an impressive legion of foreigners who come to spend their holidays in Conil de la Frontera, to enjoy its beaches, surf in Cabo Roche, its sunsets, its bars, its beach bars, of its hotels, its fine golden sand, its fried fish, and a host of features offered by this beautiful town on the Costa de la Luz. Conil is leisure, it's culture, it's tradition, it's sun and beach, it's fishing, it's beauty, it's history ... We could be pages and pages telling you the peculiarities and beauties of this small town of Cádiz, on the shore of the Atlantic Ocean, and surrounded by interesting towns such as Vejer, Caños de Meca, Chiclana, Jerez de la Frontera, Barbate, Zahara de los Atunes , Cádiz or Tarifa, towns with a charm similar to that of this area, and that during your stay in the Costa de la Luz you can visit, and that are not much more than an hour away from Tarifa, the farthest town we have visited. indicated.